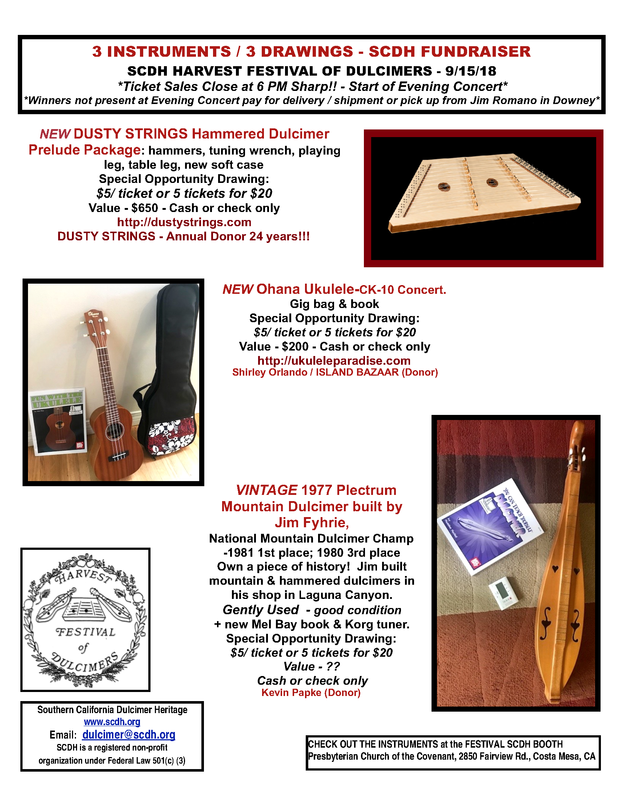 Thank you, Sue and Ray Mooers (right side), owners of Dusty Strings, for your continued generosity in donating a Hammered Dulcimer each year for the instrument fundraiser at each SCDH Festival for 24 years! 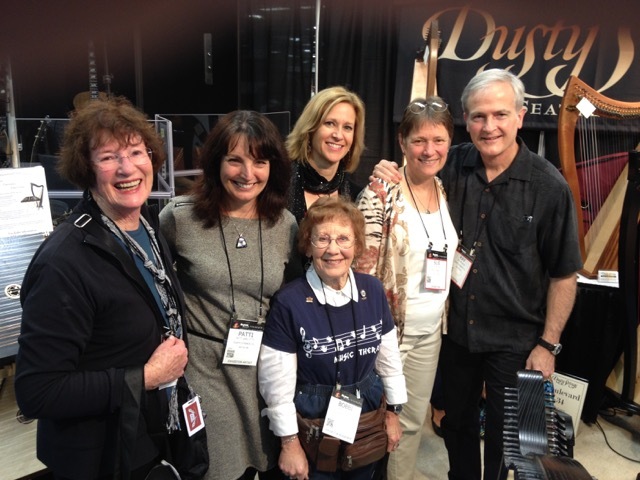 Bobbi and Barbara try to stop by their booth at the NAMM Show in Anaheim each year. Patti is a retailer for Dusty Strings.